Heavyweight Warren Baister moved a step closer to Olympic qualification with a thrilling win over France’s Abdoulaye Diane in the final qualifying tournament in Trabzon, Turkey. The Sunderland boxer must win his 91kg category to make the Games and his 18-17 victory put him into the last eight. Liverpool light-heavyweight Callum Smith claimed a second-round win, beating Montenegro’s Bosko Draskovic. Meanwhile, middleweight Anthony Ogogo defeated Macedonia’s Fatlum Zuta 18-5. Ogogo, free from the shoulder injury that hampered his 2011 season, now faces Georgia’s Jaba Khositashvili, who beat an injured Ogogo by a single point at last year’s European Championship. Smith, making his debut at 81kg, earned a comprehensive 18-8 win over Draskovic to leave him two wins away from securing a place at the London Games. In the first round of qualifying lightweight Sam Maxwell stopped former world and European champion Albert Selimov in round three, while lightweight Josh Taylor overcame Miroslav Serban of the Czech Republic 15-6. However, Welsh lightweight Joe Cordina was beaten by Ireland’s David Joyce. Light-flyweight Charlie Edwards, who received a first-round bye, fights on Tuesday. 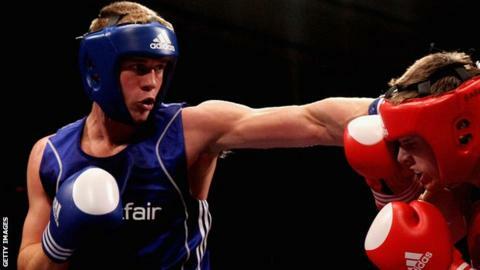 Five GB boxers have already qualified for the 2012 Olympics. They are Andrew Selby, Luke Campbell, Tom Stalker, Fred Evans and Anthony Joshua.